Editor’s Note: John Dehlin was excommunicated the month following the publication of this article. John Dehlin is a renouned postcaster and commentator on the Mormon Church. His Non-profit Open Stories Foundation and the Mormon Stories Podcast is a gathering place for Mormon liberals, scholars, and Church critics of all stripes. John is currently facing Church discipline which could include nearly anything up to and including excommunication. As of the time of this writing, John attended his trial but no formal action has been taken by the Church. It should be noted that for the Mormon Church, discipling of its membership is a “local affair.” What this means in reality is the decision and process is up to his local leadership, but the Church is known to provide supporting “evidence” to these local leader and let its wishes be known. let me start by addressing the policy and doctrine of excommunication as practiced by the Mormon Church. This is a barbaric, sinister, and archaic practice from the for religions to follow and is a bald face case of ecclesiastical abuse. It has no place in our society and it should be stamped out. Religions claim to be a medium of spirituality between some sort of higher power, consciousness, or God. For an institution to cut people off from this communion with both community and with the divine source is an action of psychological violence. The fact that these trails are honestly given the Orwellian designation “Court of Love” is telling. Religion has a way of perverting the innate human sense of right and wrong and giving justification to actions that would otherwise be abhorrent. Religions are against ostracization yet they use excommunication to control members. They are against murder yet they crusade. They are against suffering yet they torture to save souls. And given that in the Western world today we no longer allow religions to torture or kill individuals, excommunication is now the sharpest weapon in the believer’s arsenal. Excommunication is an attempt to public humiliate an individual and damage or destroy the relationship the individual has with his community and family. It goes even further to remove the victim’s sense of purpose and meaning in a cosmic sense and to take away from the individual the most valuable thing one has: hope for salvation, redemption and peace. For religions such as Mormonism life is a short temporary affair and rewards or punishments are eternal. Excommunication is therefore much worse than killing someone, it is to destroy any chance for peace in the eons to come unless the victim fully submits to the Church authority. And as the Mormon Church itself states, this authority resides in the hands of a few local men who need not justify their motivation to anyone, including the victim. Critics of religion like me take a perverse pleasure in the fact that religions are their own worst enemies in modern times. Post Enlightenment, the Churches have been stripped of real power. Yet they forget this and act like they still have it. And they have it–only in as much as their believers and enablers yield it to them. The darkest irony of this pending excommunication is that it is being granted power by many of the critics. If excommunication is the power to shame and humiliate, then critics are in inadvertently making it a powerful tool of the Church by making it shameful and hurtful. I am frankly surprised by the number of people who would say that the Church’s priesthood power and authority is all imaginary, but then act in the real world as if the excommunication is meaningful. In this, they unfortunately are doing exactly what the Church wants. When presented with this objection they often respond “well, it has meaning to my friends and family that are still in the Church.” But I would counter that these individuals key off of the behavior of the disenfranchised. In my view, a better response to the shaming and controlling tactics of the Church is to given them no power, given them no credence and give them no meaning. Excommunication is a psychological sword that keeps getting sharpened by the critics. Critics would do better to just ignore it they way they ignore other Church sacraments. 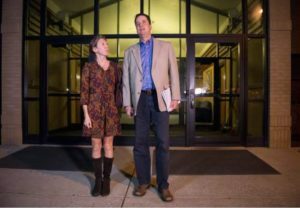 The downside of the media circus surrounding the John Dehlin case is that it is going to set precedent for many conservatives in the Church. It is clear from what conservative Mormon pundits are blogging and posting about this case that they take perverse pleasure in the perceived pain of Dehlin and Mormon liberals. The American Conservative movement and Mormonism specifically thrives on a persecution complex and a view that the world is out to get them. This manifests today in the widespread view held among the Christian majority that they are somehow being victimized by the powerless minority. In the Mormon Church today, the liberal wing is disorganized and wields no real power in shaping policy and direction. And yet the vast majority of Mormons sees the tiny number of vocal liberals as a threat. And true to the form of fundamentalists religions with a victim complex, the Mormons will go after this tiny faction with extreme prejudice. This is what puts the Mormon Church in league with other fanatical fundamentalists like the Scientologist, Pentecostals and Jehovah Witnesses. Ironically, this fear of the tiny number of vocal liberals can empower them in ways that I will return to. There is a common refrain heard when Church authorities practice excommunication or other disciplinary tactics. The leadership likes to claim that they are “protecting the name of the Church”. Outsiders find this to be bizarre and puzzling because of the negative view of such antiquated and hostile actions perpetrated against their own membership. But one must remember that these leaders are not talking to outsiders or dissidents, they are talking to the conservative faithful. And Mormonism has done a good job of keeping these people dependant on Church authority by insisting that the world is a dangerous and scary place and the members need the leadership to protect them. The more attention Dehlin’s trial garners the more the conservative element will be convinced that they are being persecuted for their righteousness. The more these things happen the easier it is for conservatives to convince themselves that any attempt of modernization or reform is an attack on their well being, Mormon identity, and devotion to God. All of that being said, I want to briefly state that I fully believe that the Church is within its rights to excommunicate Dehlin. I believe that private clubs, corporations and religions should retain the ability to fire or terminate the membership of whomever they please. And the Church is under no obligation to simply tolerate any and all speech and destructive behaviors. I further believe that the Church must do the excommunication because of the way it controls the membership. For the Church to not take action against Dehlin would be to give a tacit approval of criticism of the Church and indeed critical thinking about the faith. It is not by chance that the Church does not want its membership thinking about or talking about the doctrine in real ways. In fact, the Church actively discourages such Christian staples as community bible study groups because it want to maintain complete and central control of all things Mormon. The Church must know that excommunicating individuals will cause a small subset of liberals to lose their faith and walk away. But the Church also knows that this liberal fringe is also well committed to attending and supporting a religion in which they do not actually believe. So the Church does not see these individuals as a threat, unless they organize and speak out. So the Church will be happy to see Dehlin supports walk away because it will move the remaining members back towards the conservative positions that empower the Church’s mechanisms of control. This action will solidify the obedience and Mormon identity of the faithful majority. And again, the paradoxical view among the conservative Mormons is that the Church persecution of Dehlin is instead their own persecution. Faithful members see any form of protest by dissidents or non believers as a form of religious persecution. As faithful friends of Dehlin gather on the lawns of the Churches to hold vigils in support, Mormons see this as a hostile invasion of their property and space by crowds of people who wish to harm them and their faith. One must understand that the two parties view these events from polar opposite views. Religions have a strong ability to view their own actions of control and hostility directed outward and further proof that they are being persecuted. And the Mormon faith has long claimed that being persecuted is a sign of being in the right. Now I would like to turn to a view on the interests of Dehlin himself. John recently stated that he has been expecting excommunication to come at any time since he started podcasting 10 years ago. This indicates to me that he knows he is doing something that is not accepted in the practice of his faith. However his language clearly shows that believes his actions, recordings and statements are a product of his own moral and ethical conscious. John wishes to believe and say whatever he wants about the faith and its leadership and yet retain his Mormon culture, heritage and identity–whatever that means. John has never pretended to be a theologian or even a philosopher and he has made no attempt and defining what a reform Mormon movement looks like doctrinally or even in practice other than the push for more understanding and inclusion. John’s rhetorical stand has generally been to take the view that making things better is good. Much of his position is platitudinous and focused on those that have in the past, and continue to suffer at the hands of an oppressive Church. John’s two hallmark issues are gender equality and recognition of LGBT membership in the Church. These are both issues where we can clearly see that harm is done to a significant population that manifests in depression, suicide, anguish, broken families and stunted lives. In my view, John sees this pain and he would like to do anything to make the situation better. What John seems to desire is just to quell the suffering. John’s body of work has a humanity and tenderness to it that is appealing not just for the breadth, scope, and thoroughness that it has covered, but the raw humanity of it all. Even John’s own changing positions and attempt to grapple with difficult and unsolvable problems colors the work. To try to help and find solutions, John has often followed the route of seeking allies and others who share the vague goals of reducing harm and making things somehow better. John has the additional generous trait of not dividing the world into friends and enemies in relationship to their religious views. John is one of the few human beings who can see the value and sincerity of people no matter how the define themselves: orthodox, fundamentalist, liberal, reform, ex- or critic. John sees value in all of their individual positions and seems to sincerely want to explore and share their views. John has termed this approach “Big Tent Mormonism” and he has attempted to create an environment in which all people who care about Mormon people can come together to build something better. I believe that John sees the Evangelical critic of all things Mormon and the Ultra Orthodox polygamist share a common desire to help their Mormon family. And I believe John’s desire is to harness and express this love for one’s fellow humans that underpin all of our philosophical differences. However, I am a bit more cynical than John. I see the Big Tent approach akin to trying to form, say, a society of people interested in the LA Lakers by including people who hate the LA Lakers, those who love the LA Lakers and then throwing in people who just hate basketball altogether. Ultimately, the one thing that binds them together is the chief source of friction between all of them. Even though those who hate something and those who love the same thing share a preoccupation with the topic, there isn’t any sense of community or communion between them in the real world. John has in the past attempted to form communities of struggling and ex-Mormons with disastrous results. Even John himself has osculated and modulated his own position as he philosophically has danced between the two camps. Unfortunately this has caused alienation and hurt feelings as one group takes temporary priority of the other in an failed attempt to create safe spaces and John to express his own ambivalence and solve the faith dilemma. This only speaks not to John’s personal failing, but rather to the impossibility of trying to bring reform to an organization without having a clear definition on what that reform is. John’s Rodney King-esque cry of “can’t we all just get along” sounds good, but in reality it is no basis for a movement. Which brings us back to the excommunication. I know from first hand engagement with many involved in the support of Dehlin and his organization that they do so in order to cause as much damage as they can to the Church. These people know that openly critical or hostile organization that seek to counter or destroy the Church are ignored by most of the faithful. But it is clear that John being an inside-outsider can reach people who otherwise would not listen. While John’s organization is not a wolf in sheep’s clothing, there are plenty of wolves who send it money because they know it is–whether it wants to be or not. The question of whether John recognizes the damage he does to the Church and wants to foster it or is ignorant of it is as yet unresolved. As long as John can keep an appearance that Mormon Stories and he himself are safe and honestly seeking answers it will be an avenue to induce doubt and questioning that will lead many members out of the Church and begin them on a path of questioning authority. Church critics clearly recognize the role Mormon Stories has in damaging the Church, as I am sure the Church does even if John and many of his followers do not. John has carved out a position in which national news sources look to him as a thought leader in Mormonism, and he is impacting the Church. John is able to process all sorts of nuance in the execution of his faith and maintain hope in face of historical atrocities and downright lies found in the historical record of Mormonism. But many who consume his product cannot do that and are lead by John’s honest enquirers out of the Church. And the Church feels this pain. The Church is making a grave mistake in pursing this line and they are likely just making things worse for themselves. But John has a choice to make that will be tough. If the Church follows the likely course of excommunication he will then be complete unconstrained by membership in the Church and trying to walk the line. He will then be completely free to try to craft the kind of religious utopia he has long been fighting for. The legions of disillusioned who have looked to John to find ways of making their faith “work” in a modern world will be watching closely to see what comes next. Hopefully, it will not follow the same path that some many revolutionaries have followed before in reconstructing the same mechanism that existed before in the name of progress. This new emergent movement will be faced with the problems that both Church on John have faced: how to deal with dissent without empowering it and how to build something you believe in without inadvertently empowering those who disagree to tear it down.